Salvation And Survival: Don't Lose Sight of the Cross! Don't Lose Sight of the Cross! This weekend we find Believers celebrating both Passover and Easter. There is so much significance in these holy days. The death, burial, and resurrection of Jesus of Nazareth is the most important event in human history, yet I wonder what people really focus on when they contemplate those events? For many, I suspect that Easter means their sins are forgiven; or that it is a picture of their own resurrection into eternal life. The Body of Christ certainly celebrates that Christ rose from the dead, making way for us to enter the heavenly realm and presence of God, the Father. And in this present day and age, we are recognizing that His substitutionary death not only paid the debt for our sins, but allowed for the presence of the Holy Spirit in our lives, so that by His power we could live in victory over the Enemy's attacks upon our souls. More Christians, every day, are living in the power and authority Christ transferred to us, so that His Father's Kingdom would come on earth, as it is in Heaven. That knowledge of our power and authority has led to redemption and freedom for many Christians locked in spiritual prisons created by the lies and deception of Satan. That's a good thing. But we must not become so consumed with the "show" of that power if it diminishes the Source of the power, or what it cost our Lord to give it to us. So, that's why, as we get ready to celebrate this weekend, I want to make sure we don't lose sight of Jesus on the Cross. Remember, Jesus was one of probably tens, if not hundreds, of thousands crucified throughout history. There were 6,000 crucified on a single day in 71 BCE, in the aftermath of Spartacus’ rebellion. So, as horrific as the act was, it is not the crucifixion itself that we should be focused on, but what was accomplished by it. The power of the Cross is this: in the sacrifice of Jesus Christ, God conquered death, hell, and sin! At the Cross, Jesus paid a tremendous price for every person on earth to receive Life and Glory and Freedom. The Cross should be at the center of our faith! Without the Cross, our power and authority would have no spiritual muscle behind it. We would be locked in continuous spiritual battle without any assurance of victory. But at the Cross, Jesus guaranteed our victory! The Cross opens the way for us to be reconciled to God, or as the dictionary defines reconciliation, to restore friendly relations. 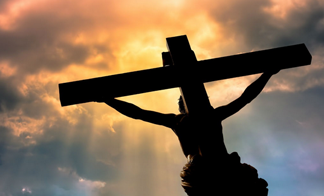 Before the Cross, we were estranged from our Father; separated by a debt we could never pay. But Jesus agreed to pay that debt by going to the Cross; it was the only way to regain our position and status as children of God. I think you would agree that it is difficult to wrap our heads around the concept that Jesus came to earth to die. That was His ultimate goal. Along the way, He proclaimed that His Father's Kingdom had come to earth; He established the rules and government of that Kingdom; and He displayed the power of the Kingdom through the Holy Spirit. That was part of His mission, too, so that when He accomplished His goal of dying on the Cross, we would have a Kingdom model to live by. But I don't know how many Believers understand all that the Cross represents. Put very simply, the Cross is the doorway to a life with God. Sadly, it can become overshadowed by other Godly principles such as Grace and Judgment. As important as those concepts are, ultimately, all other foundational truths of our faith rest upon the existence of the Cross. Today, we must be careful of becoming so focused on, and infatuated with, the latest "movement"; the expression of power; or of looking to the future for the next great revival. There's nothing wrong with looking towards the future and yearning for the glory of the riches in Christ to come. But until that moment, perhaps we should never forget to take a look back at the Cross -- all that we need and desire is there! There we will find our redemption; our promise of victory in this life and the next; and the restoration of our relationship with our Father. Jesus's act of dying on that Cross offers us a way to be transformed into a new nature and a new life; for with His death on the Cross, I have died to this life, yet am fully alive with Him. I am being transformed into learning to trust in the Word of God, seeking a way to live a righteous life, finding joy and peace in the presence of the Holy Spirit in my life, and enjoying the entire journey all along the way. When Jesus declared on the Cross, "It is finished! ", He set empowerment in motion for every Believer -- empowerment to walk as He did; empowerment to declare victory over the god of this world; empowerment to set the captives free; and empowerment to overcome the obstacles in sharing the Gospel message. In other words, the Cross is the ignition point where God’s power becomes operative [and real], with the ability to convert, transform, and save [for both ourselves and others]. And that power is available to us because of what Jesus and God achieved at the Cross! So, let us focus on the power and the glory of the Cross this weekend. When we understand what was accomplished for us over 2000 years ago, we will see the magnitude of the glory of God and the greatness of our inheritance. Praise Jesus, the Light of the World! 1 Corinthians 1:18 "To preach the message of the Cross seems like sheer nonsense to those who are on their way to destruction, but to us who are on our way to salvation, it is the mighty power of God released within us".